It’s all pretty disturbing, to say the least. Last Thursday, over a hundred friends and family of Sean turned up at a candlelit vigil and there is another vigil planned for this Saturday, December 11th. Faced with the loss of their friend, many of Sean friends have gotten together and created a Sean Stennet memorial tattoo, which they’ve already been tattooed with. On Sunday, December 12th, the tattoo will be available free of charge to any friends of Sean’s at Drunken Monkey Tattoo in Saginaw. 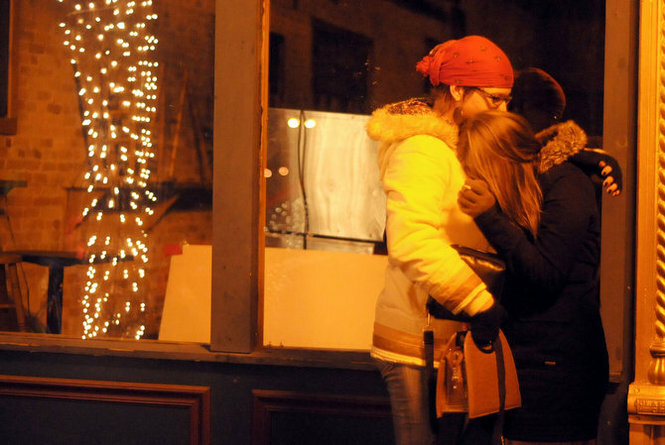 ‘“Everybody was really touched in a really amazing way,” said Nicole Nino, 25, of Saginaw, Sean Stennett’s girlfriend since 2008. “And I really believe that’s pretty much the effect Sean was striving for, and it worked. Given what is undoubtedly an extremely difficult situation to deal with, it’s very nice to see Sean’s friends getting together and having a method to express their sadness over their loss, while at the same time creating a bond between them all in memory of their friend.